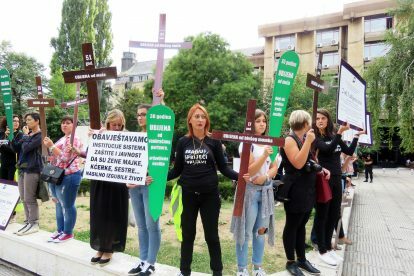 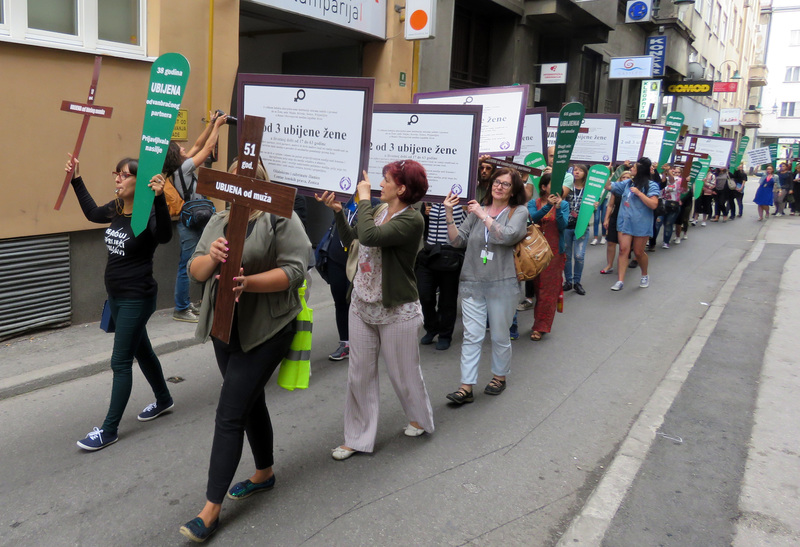 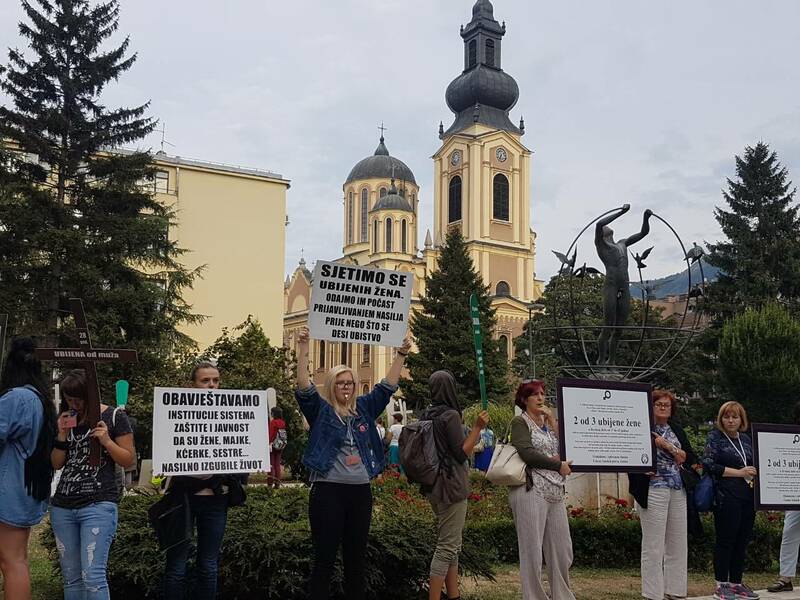 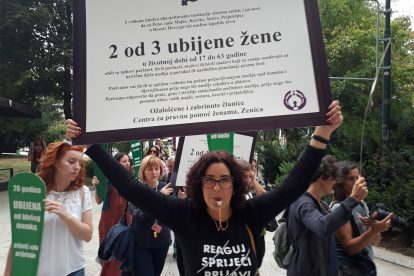 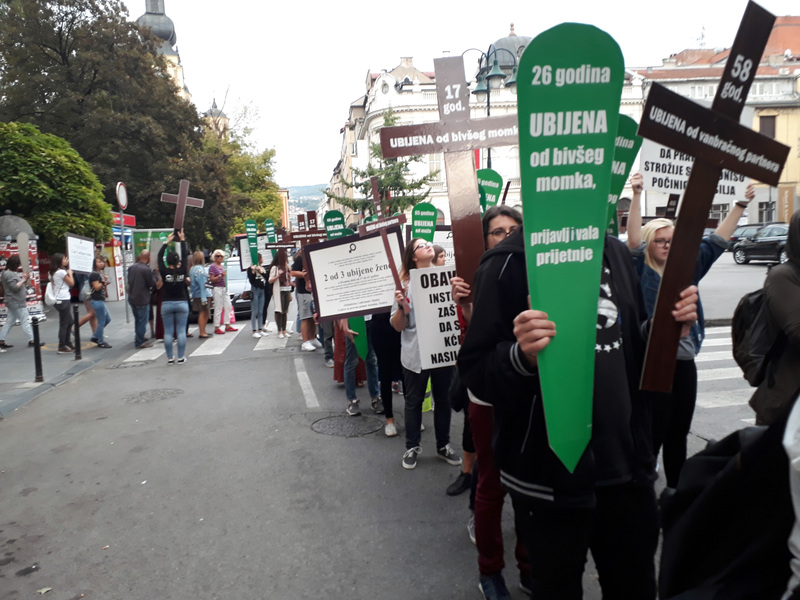 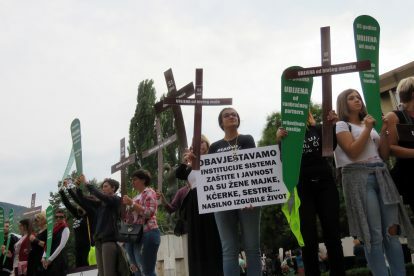 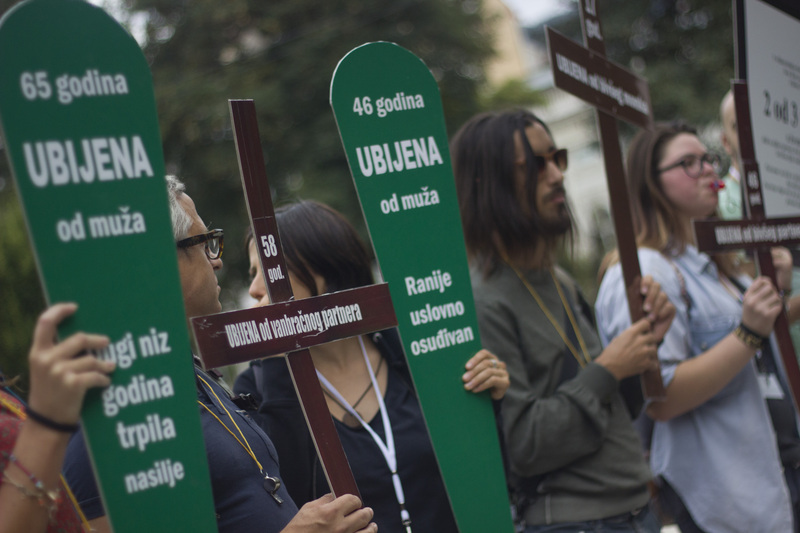 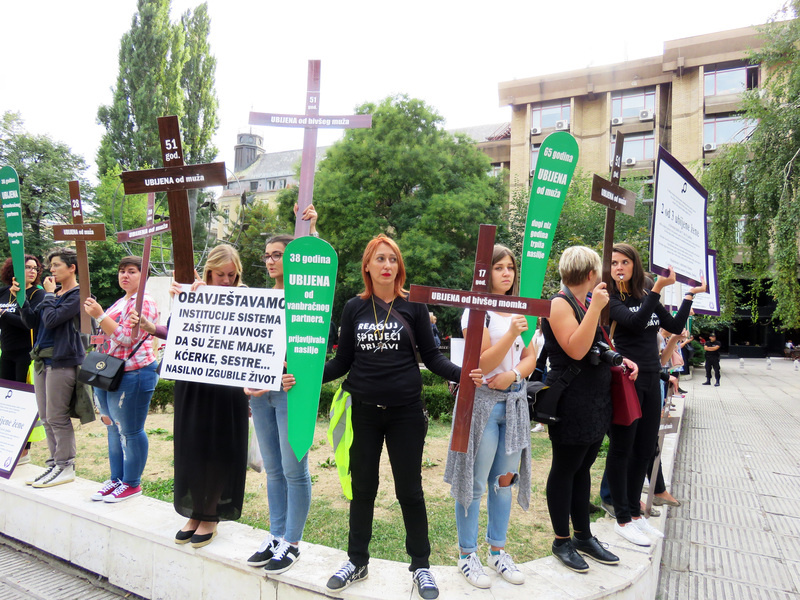 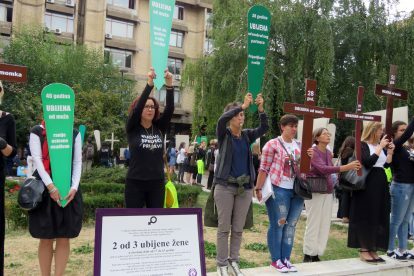 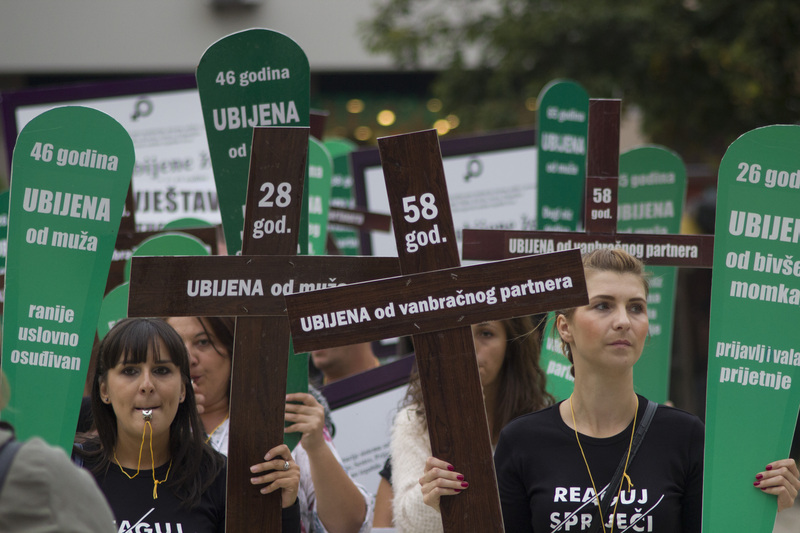 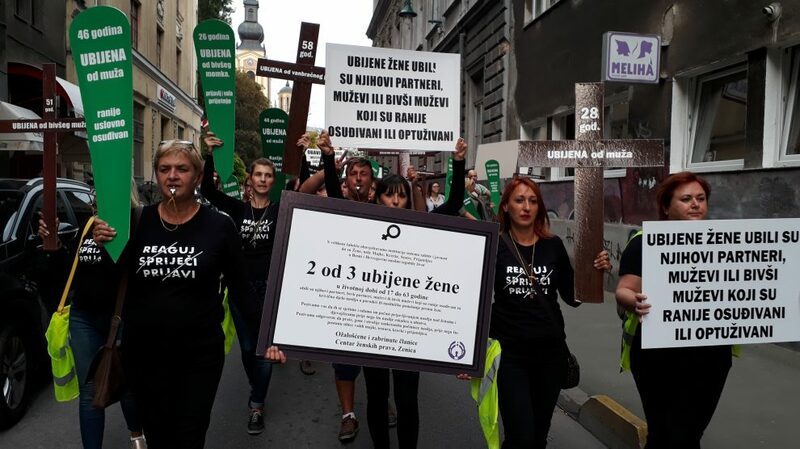 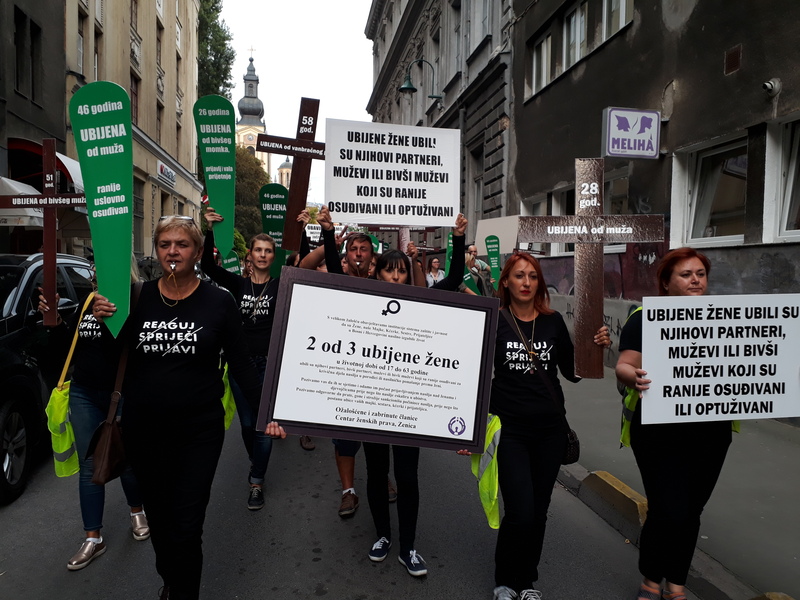 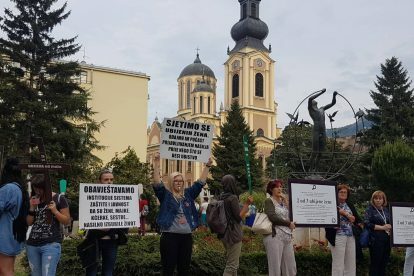 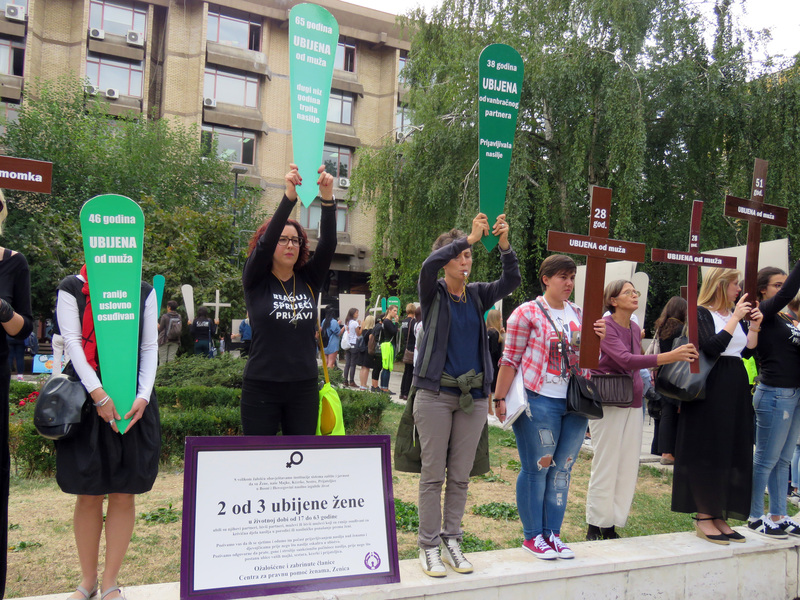 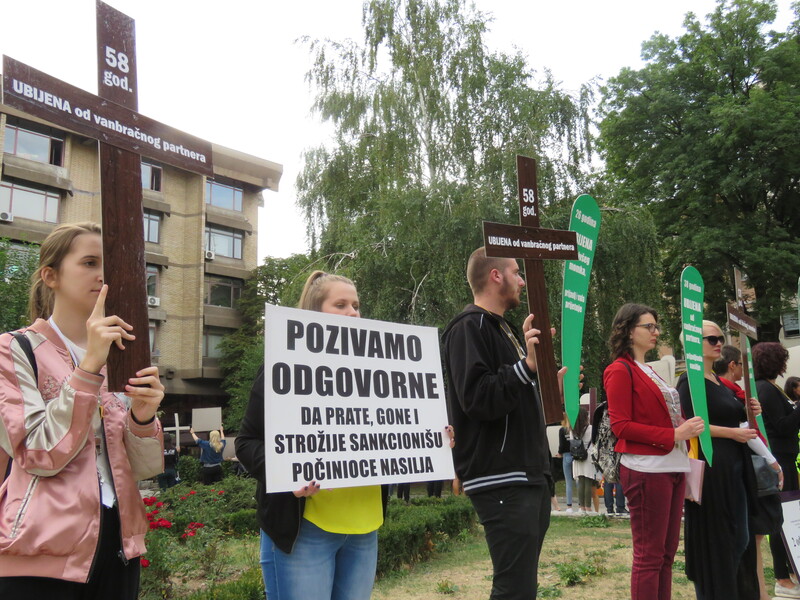 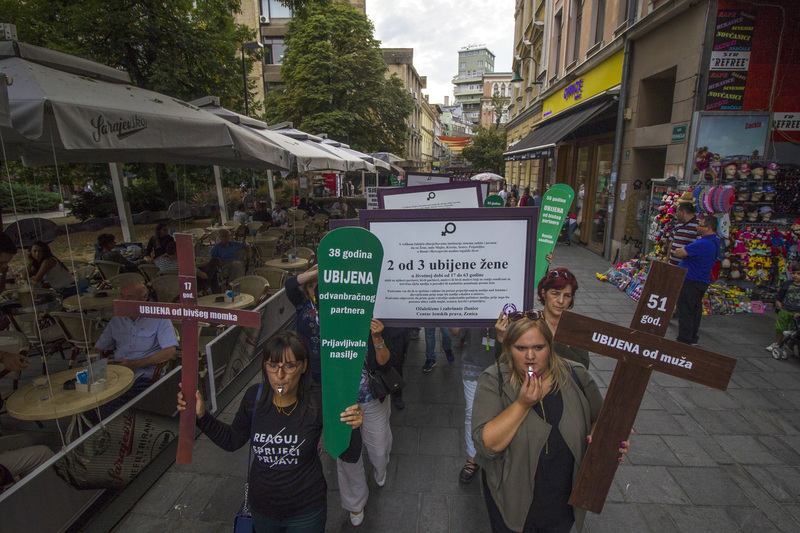 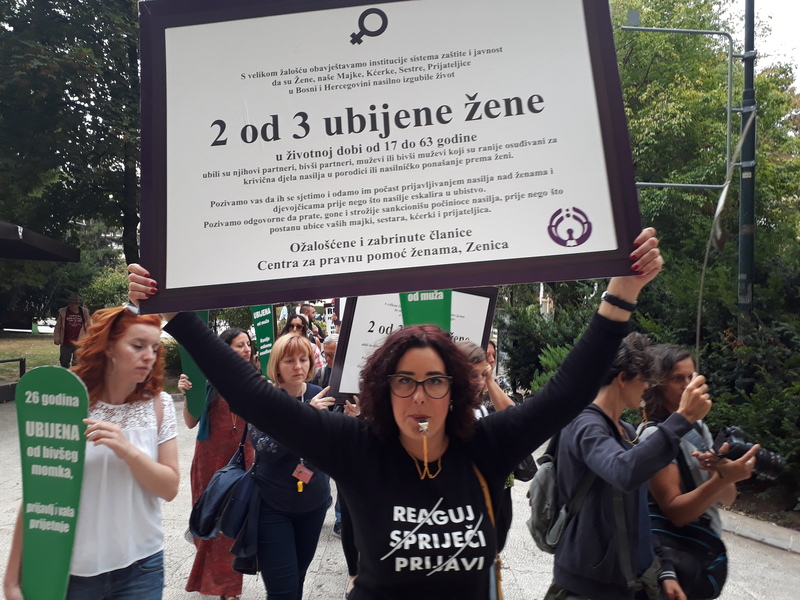 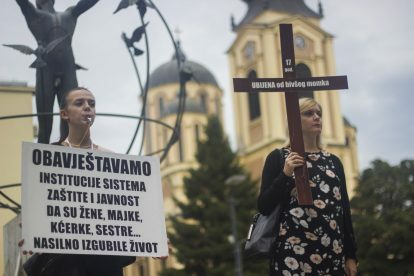 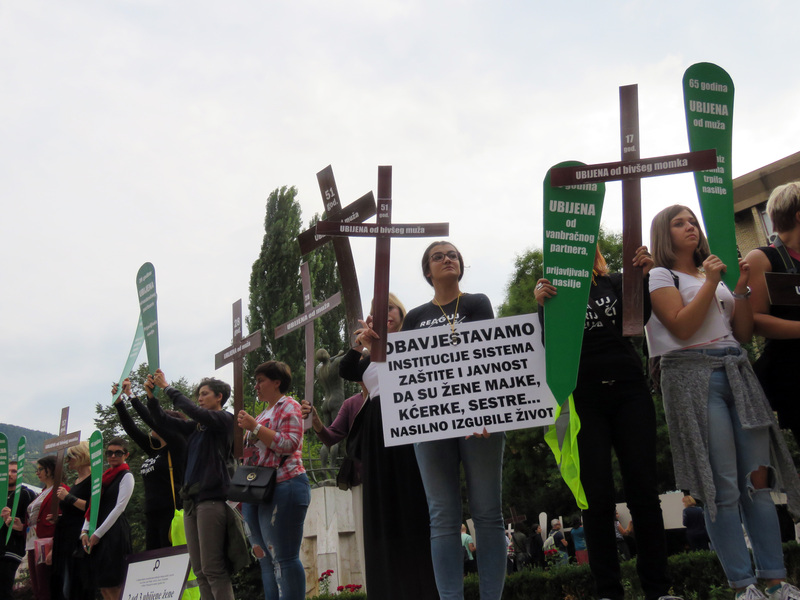 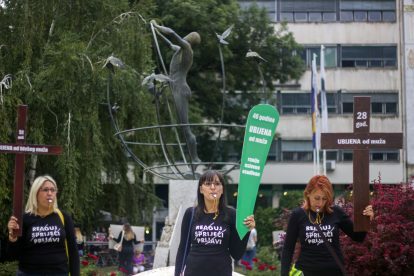 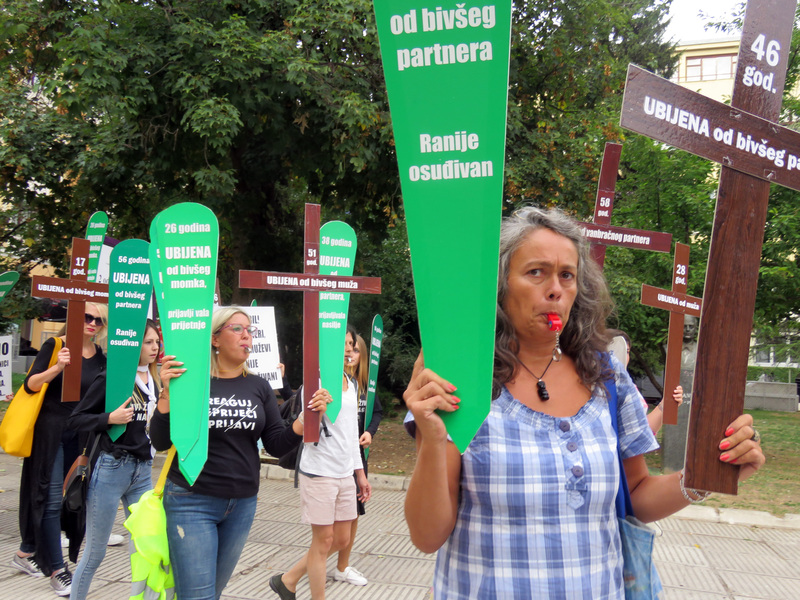 Initiative for more active social engagement and reaction to murders of women – femicide, we started with the performance at the feminist festival Pitchwise in Sarajevo. 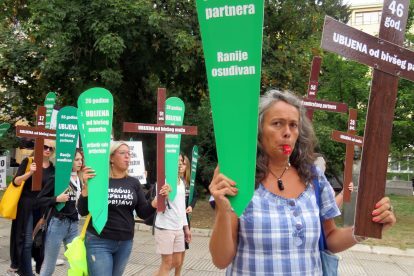 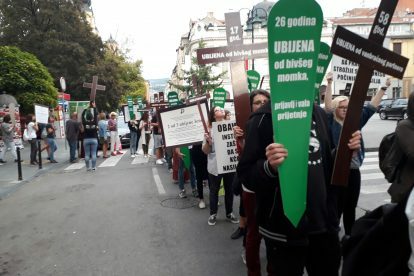 Femicide is not happening suddenly, it is a result of the long-term violence that a woman is exposed to by her partner, son … The institution’s response is insufficiently severe with sanctions against perpetrators, nor does it eliminate the greatest threat to the victim, and that is murder. 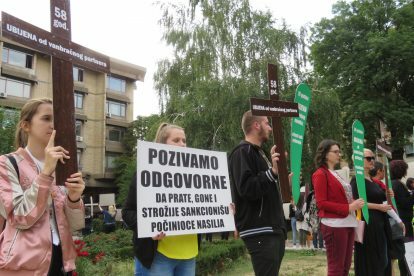 Sarajevo, Zenica will not be the only cities in which we want to point out this problem. 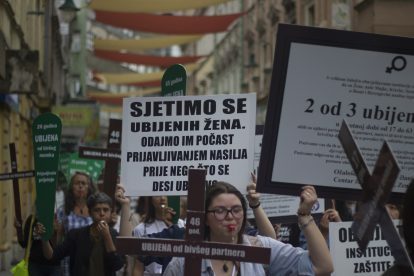 On your initiative we can be in any other city. 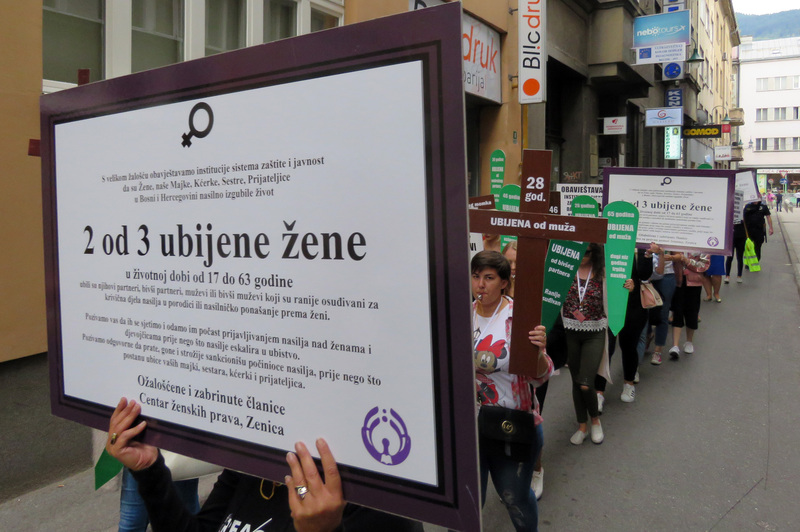 The murders of women by men must be visible and we will make every effort to do so.